Miracle Fruit - Mom (♥) Reishi! The Miracle Fruit is a berry with extraordinary naturally occurring qualities to temporarily modify taste sensations. With its origins in West Africa, it has been used for centuries by tribes to change sour, bitter, acidic and other less-than tasty foods to a more palatable sweetness. The reason for this as discovered by scientists is the action of an active glycoprotein within the berry, known as Miraculin. By chewing on the berry, coating the tongue and mouth with its juices, something miraculous happens, allowing our taste-buds to interpret flavors differently. And not to worry, the effects are temporary, lasting anywhere from 1-3 hours. Definitely. It's like popping a grape or any other fruit in your mouth. Totally edible. You'll have to order some to experience it. Contact me to arrange for 'The Miracle Berry Experience' today! 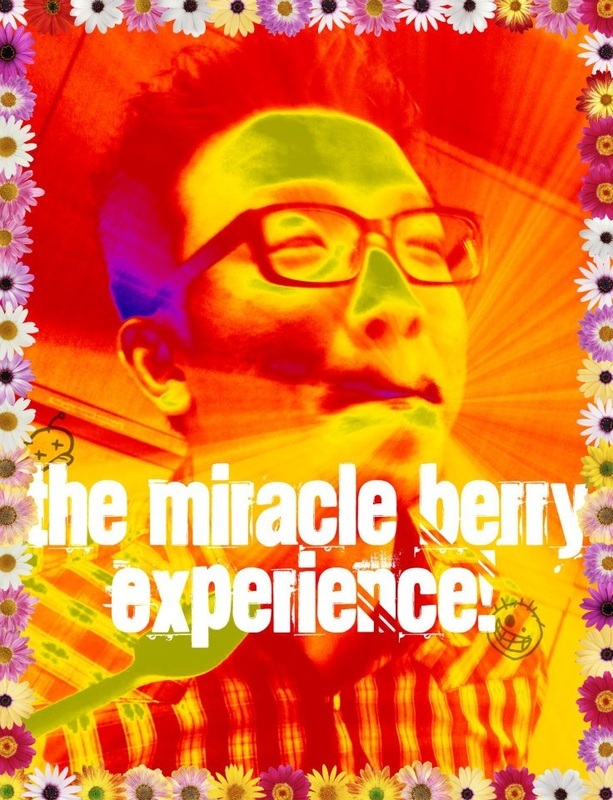 The 'Miracle Berry Experience' sessions are designed for adults. Minimum age is 18 years old. 'Like' us on Facebook to stay updated on workshop dates and other details!